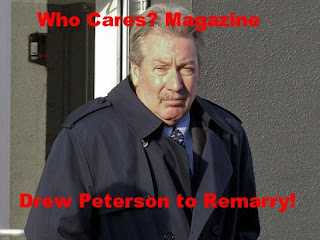 Former Illinois cop Drew Peterson, who is a suspect in the disappearance of his fourth wife Stacy, and the murder of his third wife Kathleen, is engaged to be married! She's 23, he's old enough to be her father! Does this prove that Stacy is dead? Is his fiance dumber than a stump? Who Cares! He must have money, and a ton of it, because he sure ain't cute!